Privilege Manager—the industry’s lowest-cost Windows user-privilege management solution—provides the core features you need to quickly elevate and manage user and administrative rights. The tool includes both pre-packaged and community elevation rules to help you to address the most common needs. Streamline privilege elevation by discovering applications that require administrative rights, provide users the ability to request privileges and provide instant elevation access. Applying the elevation rules is more effective with the integration of Quests patented Validation Logic targeting technology. 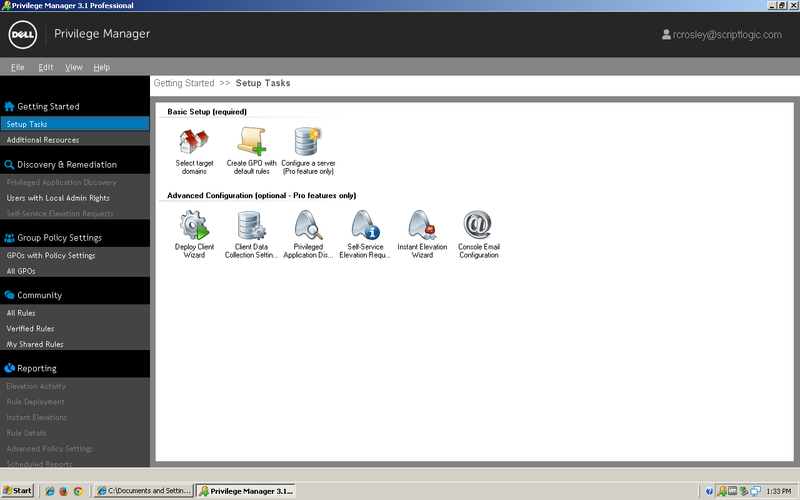 Privilege Manager works seamlessly with Active Directory and Group Policy Objects. You won’t find an easier or more affordable way to maintain security while allowing users more capabilities in a locked-down PC environment.